Current Migration Minister for Australia is David Coleman. He is a member for Banks, New South Wales. Before beginning politics, Hon David Coleman served in the sector of private, especially in the technology and media businesses. He was the Director for Digital and Strategy and Nine Entertainment Co, and also ninemsn, Chairman and held positions in the board with many other organizations including 3P Learning and Sky News, the operator of the Mathletics business. He also served with the consulting firm of management McKinsey and Co and had his personal business in consulting. It is also important noting that portfolio of immigration no lasting falls under the Ministry of Home Affairs. As per the latest statistics issued by Home Affairs, roughly 128,550 places were allotted to skillful immigrants, and of those, roughly 16,000 were regional visa permissions. 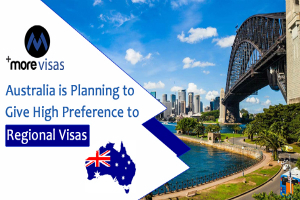 This regional visa provides experienced workers to reside and work in regional or less-population growth urban areas of Australia for up to four years. This visa also grants a PR pathway for immigrants who have shown commitment to remaining in a regional area. New invitation round announced on the website of Home Affairs for August 2018 showed that a mere ten invitations were declared for this subclass. It is a sharp decline related to previous years’ figures where nearly 250 invitations were declared for the same month. This list intended to add professions that are in demand in regional areas. ROL is modified on a daily basis on the proposal by the Department Jobs and Small Businesses. Migrants can obtain ROL if their profession is located in a regional area (way to subclass 482 and 186 visas). The Australian Jobs and Small Business is a Department of Australia Government charged with the duty for the job, services of job and the labor market, workplace associations, deregulation, and small business. Please subscribe to MoreVisas newsletters to get more updates and information about the process of Visa and Immigration. Please take our free evaluation from us to know whether you are suitable or not and also we will assist you to know further chances available to you.